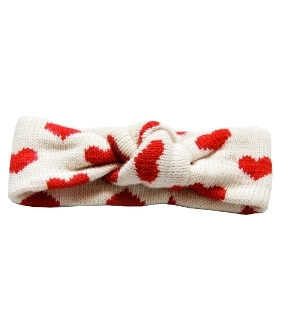 Nordic headband with love heart pattern, designed in Norway and knitted in Nepal. 100% natural wool, fully lined with soft, warm fleece. Hand knitted by talented arisans. A great hat to stay warm on cold winter days.